A pioneer in grassroots innovation, Dr. Anil Gupta’s life’s work, showcases his mission to expand space for innovations at the grassroots level and link ideas in the informal and formal sector. He is passionate about ensuring recognition for local innovators and the protection of their Intellectual Property Rights while creating knowledge networks for green innovations. 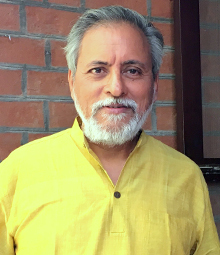 A renowned academician and scholar, Dr. Anil Gupta is the Vice Chair of the National Innovation Foundation and the President of the Society for Research and Initiatives for Sustainable Technologies and Institutions (SRISTI). Dr. Anil Gupta was awarded the Asian Innovation Award in 2000 and the Padma Shri in 2004. He teaches at the Indian Institute of Management, Ahmedabad and the Centre for Management in Agriculture. Dr. Anil Gupta’s ventures create large-scale systemic impact, spanning across functions and geographies. He founded the Honey Bee Network about 25 years ago, which is a crucible of like-minded individuals, innovators, farmers, scholars, academicians, policy makers, entrepreneurs and non-governmental organizations (NGOs) with a presence in more than seventy-five countries. The National Innovation Foundation, founded in March 2000, has mobilized more than 200,000 innovations and traditional knowledge practices from over five hundred districts of India. Recently through student volunteers, he established a portal of two hundred thousand tech student projects to link the needs of the informal sector with young technology students. Thousands are inspired by his Shodhyatra (journey on foot), a walkathon of more than 6000 kms across India across 17 years, to celebrate creativity at the grassroots.